Admittedly, we wavered about staying outside of the city center. We wanted to walk out the door and experience the heart of Florence with all five senses, yet we wondered if it might be something of a treat to escape the crowds. 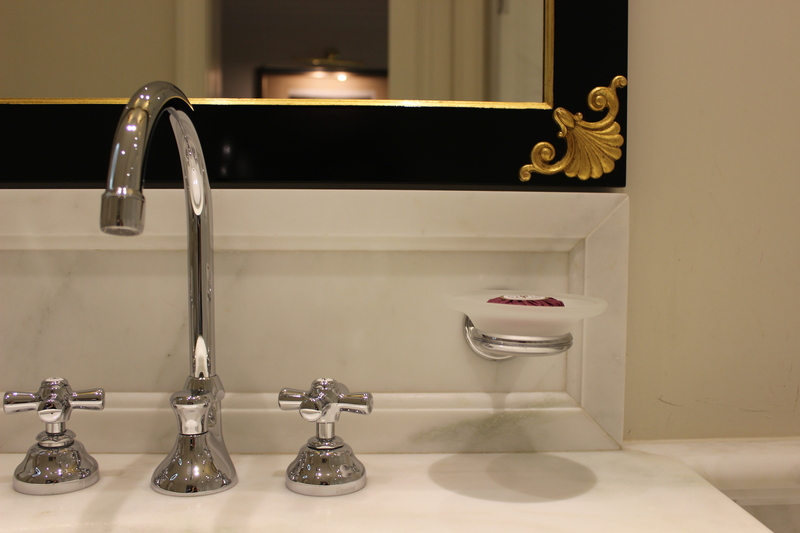 Villa Cora plays the balancing act quite perfectly. 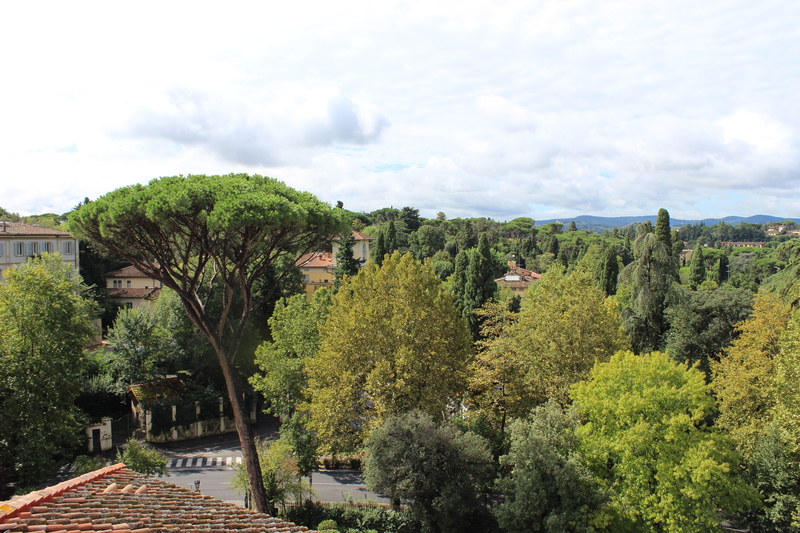 The complimentary shuttle takes not even five minutes to reach the Arno, and as we drive up the hill on a mostly residential street, scattered with grand private villas, we feel as if we are going home, (daydreaming on vacanza is encouraged). It is quite special to be only minutes from the center, yet to return to such a tranquil, pristine property carefully strewn with flora and fragrant roses and an outdoor fitness center overlooking the property. We can indulge in an afternoon swim in the beautifully designed pool, with the most aesthetically pleasing pleated umbrellas and water that lapses over the rim like a calm waterfall. 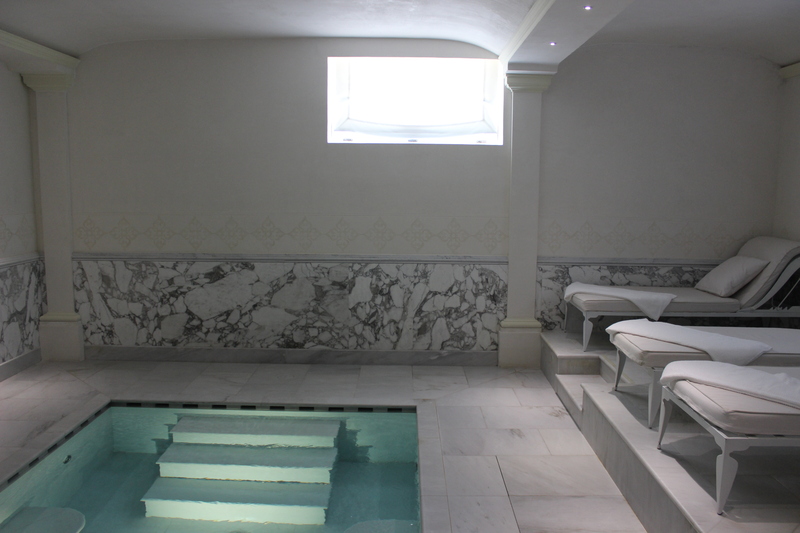 We can nurture our tired muscles in the underground spa. What is more humanizing than a sauna and a steam after a whirlwind day of shopping and art-seeing in the center? 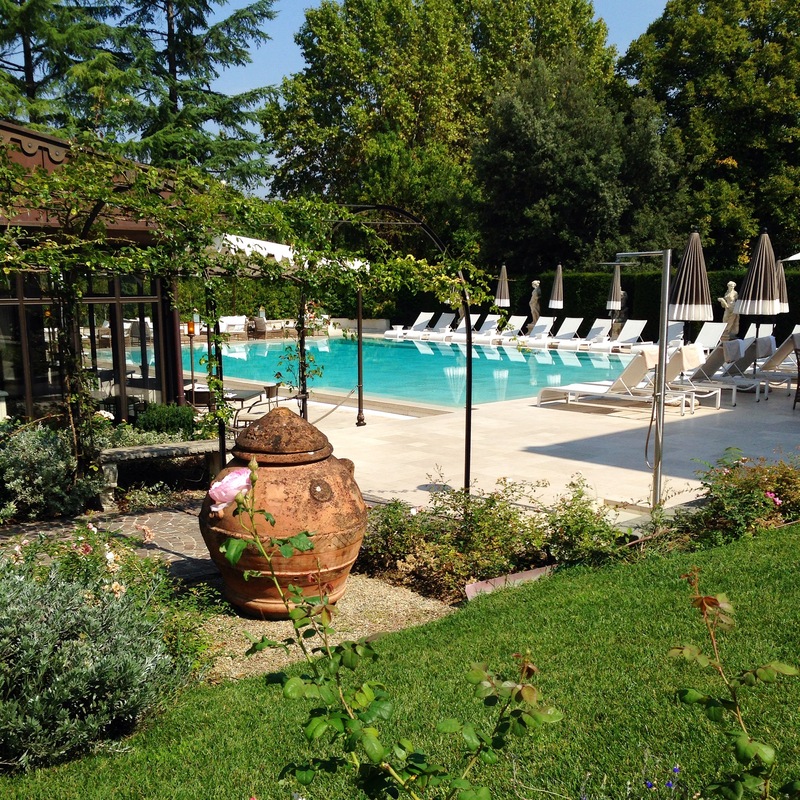 Reading the room service menu, I gather that Villa Cora is a property for the wellness-inclined. 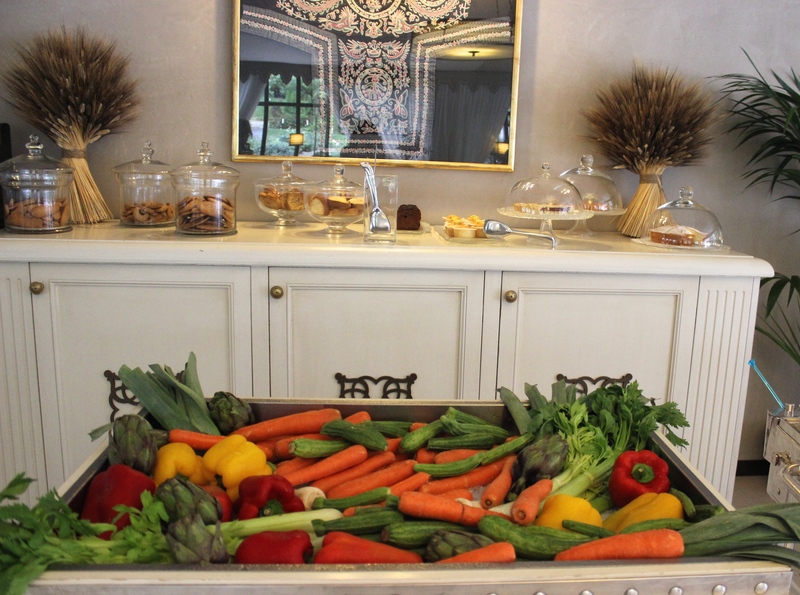 There are green juices, detox and gluten-free options, organic, and whole wheat items. Italy is not often a place where one finds all of the above. Many cafes are yet to give in to ‘scremato,’ skim milk. 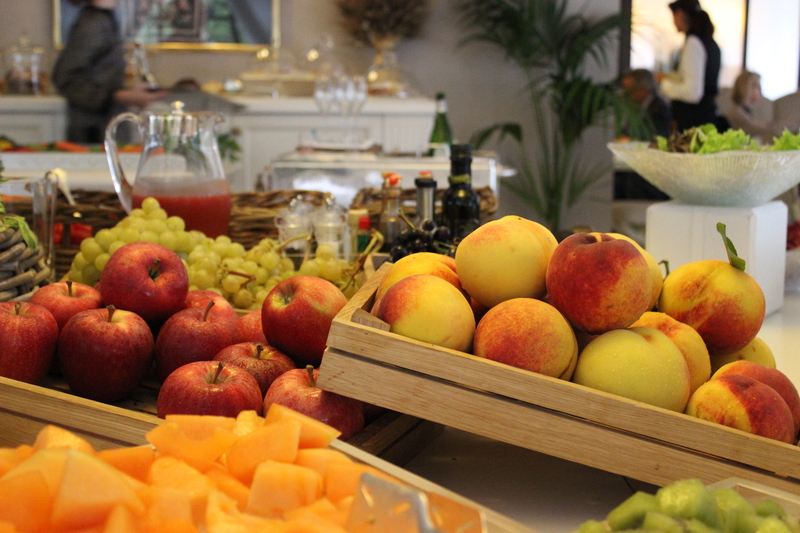 At Villa Cora, one need not lose sight of their waistline simply because pasta, cured meats, and breakfast cakes abound. 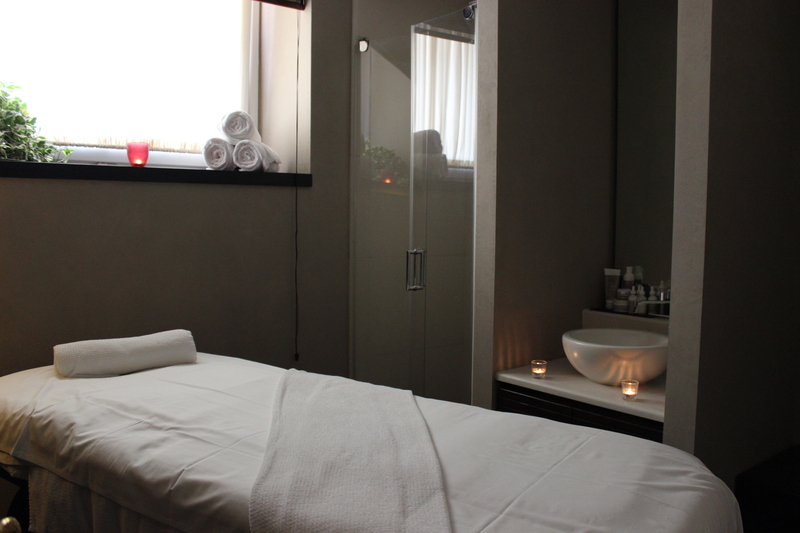 At the spa, guests can take advantage of London beauty guru Sarah Chapman’s products. 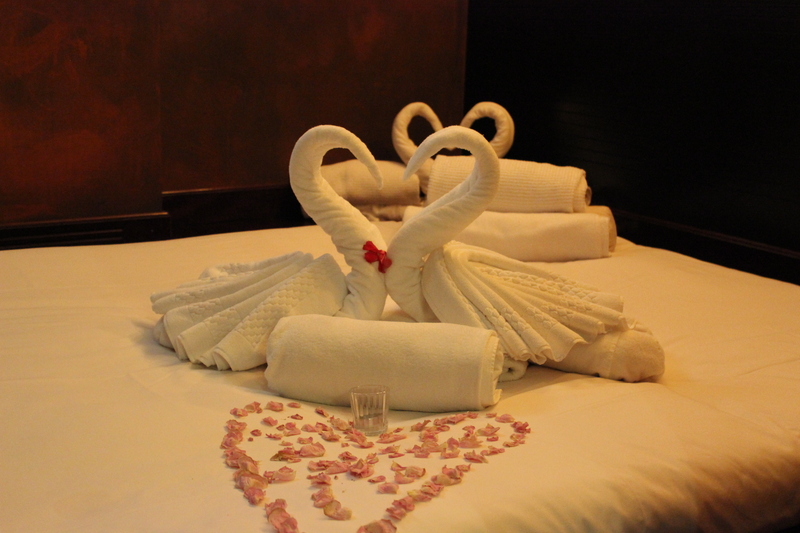 There are Thai massages, water treatments, body wraps, a hammam, and extracts galore. 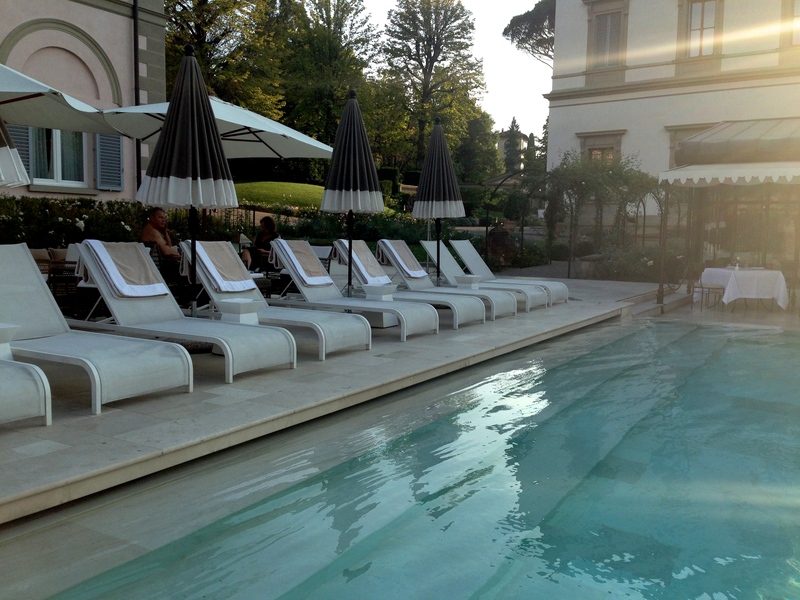 One could stay a month at Villa Cora and still not exhaust the spa menu. 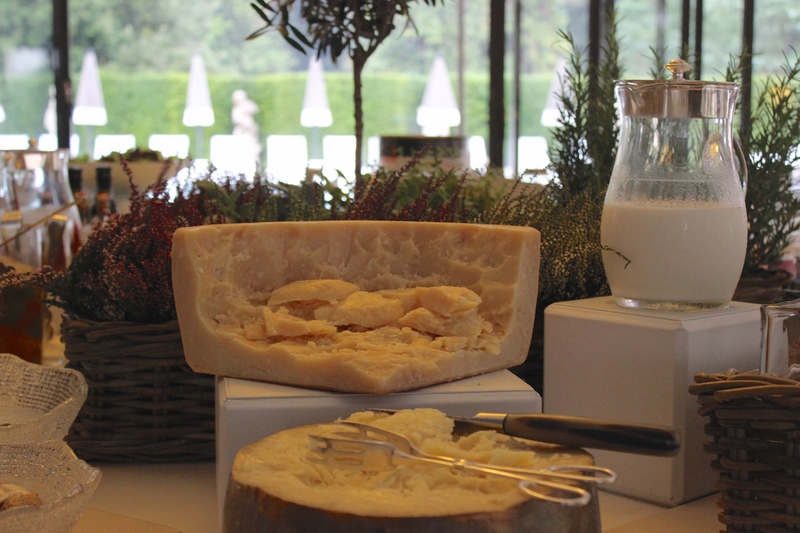 Parmigiano at every meal, because we are in Italy, after all. The villa itself was built in 1868 as a wedding gift from Gustavo Adolphus Baron Oppenheim to his bride, Eugenia Fenzi. 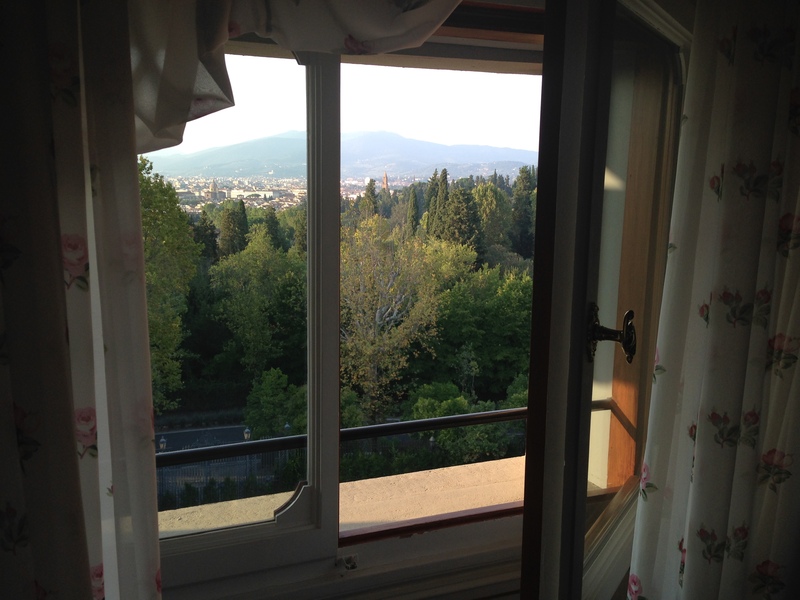 Indeed from our perch in room 205, with our rose-scented bath products by Santa Maria Novella, our pristine white bathroom, and our canopy bed, I feel a bit like a princess, or at least an aristocrat of some sort. 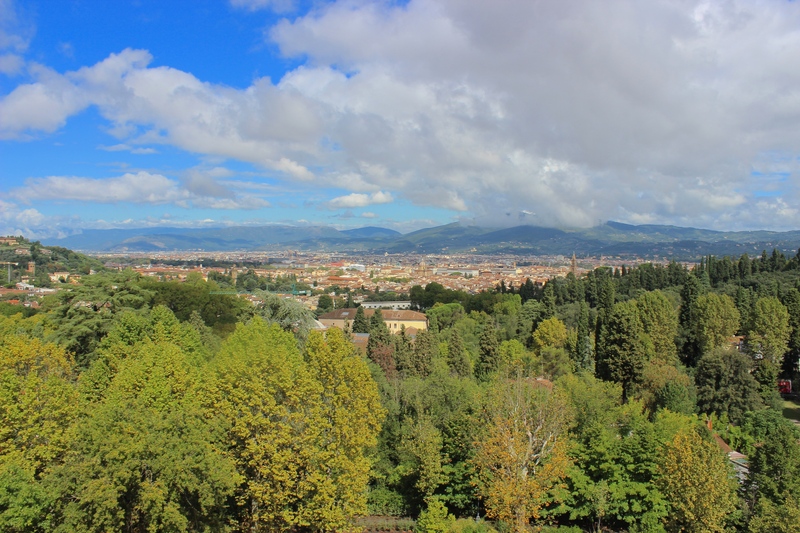 I envision Signora Eugenia looking out the picture window over all of Florence, breathing in fresh Tuscan air, yet only a few minutes from the country’s finest dressmakers and the Boboli gardens. The pink and light green fabrics that adorn our room on the themed ‘Rose Floor’ bring the outdoors in; the greens mesh into the treetops, the pinks perfectly resemble the roses that line the property. 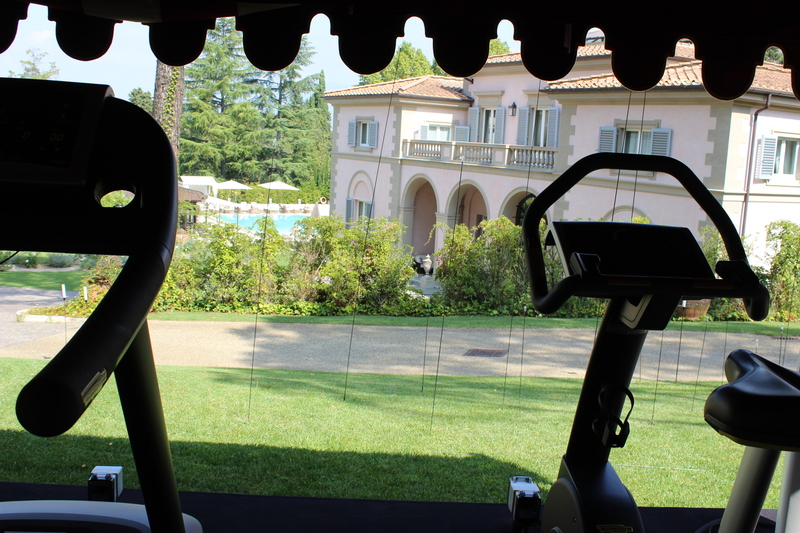 As if walking all over Florence is not enough, at Villa Cora one can indulge in traditional exercise overlooking the property. The mansion is undeniably ornate; it is filled with grand rooms and grander furniture, and when the hotel is not hosting one of many weddings or events, (it is also a favorite for photographers and set designers; many a fashion photo shoot take place at Villa Cora, even one outside our window one morning), the large rooms filled with 19th century furniture feel a tad formal. I wonder how many people sit down at the straight-backed velvet chairs in the dining room during their stay. I myself would much prefer to relax in a lounge chair by the pool. 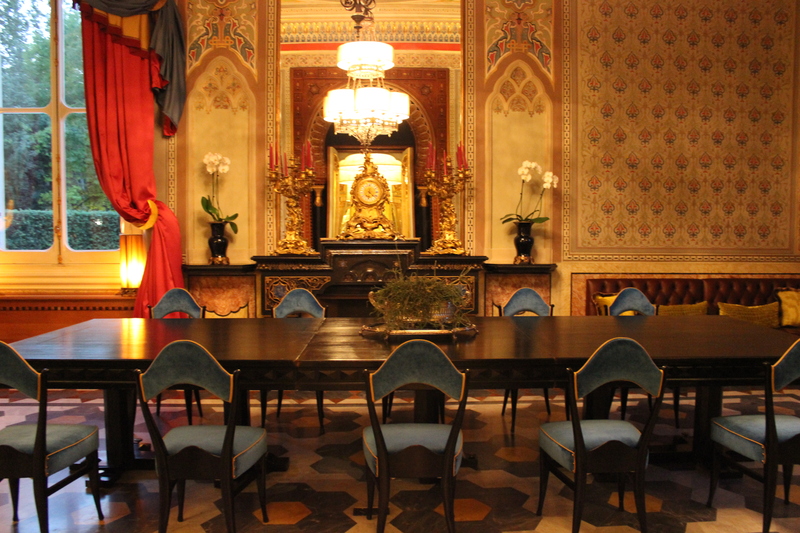 Nevertheless, these eclectically decorated rooms were in high usage during the time of Villa Oppenheim as the mansion became a setting for the city’s greatest social gatherings. Guests included Napoleon III and his wife Empress Eugenie. Apparently, Oppenheim’s bride required more than grand social gatherings and a picture perfect view; she could not keep her adultery a secret from Oppenheim, and in thespian fashion, he threatened to blow up the Villa, (a trifle histrionic if you ask me, but I suppose marriage counseling was less fashionable those days). 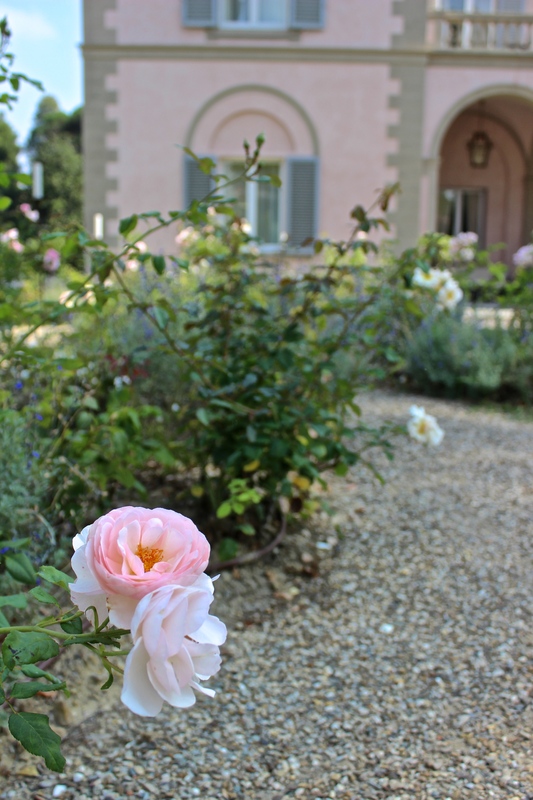 Post the Oppenheims, Villa Cora became home to ex-empress Eugenie, widow of Napoleon III, who maintained a more innocent love affair; this time with roses. Thus the name of the second floor. 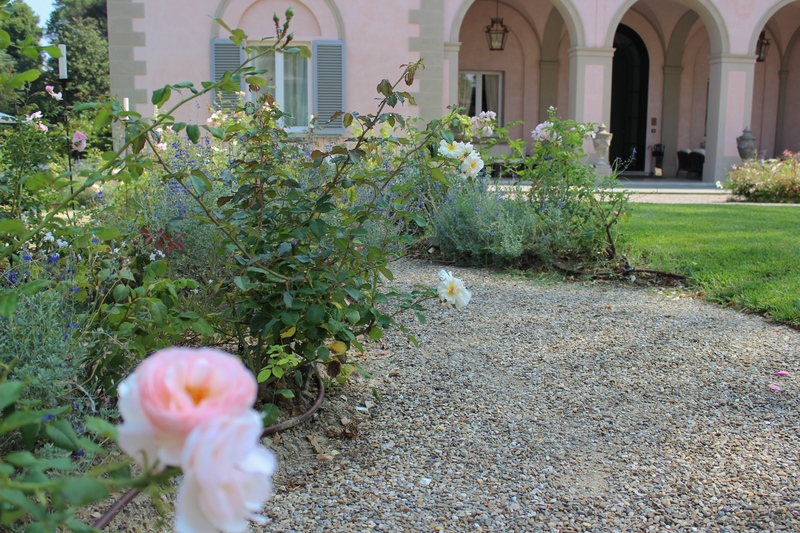 Subsequent fascinating characters in history lived in Villa Cora, all contributing to the property’s worldliness. 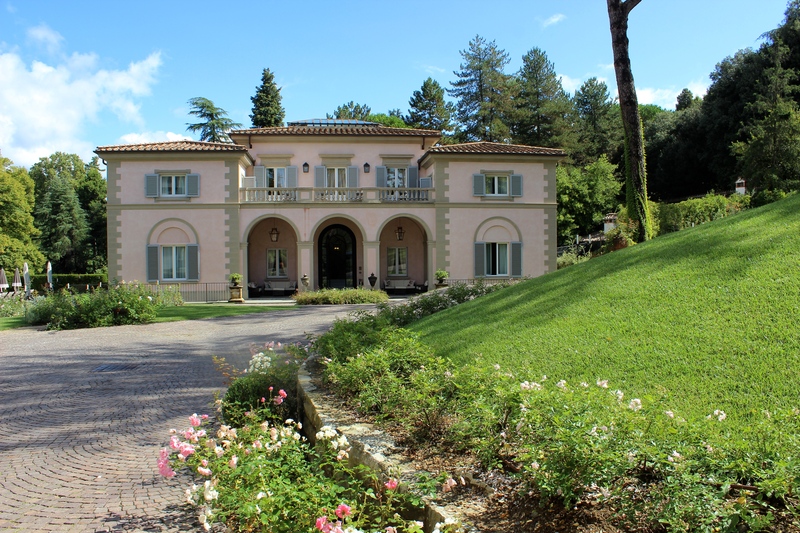 Twelve years ago, the mansion was bought by the president of Whythebest Hotels’ group, Antonella Gatti Fratini. Antonella and Sandro Fratini restored the villa to its original splendor with the intention of presenting it as a luxury hotel. 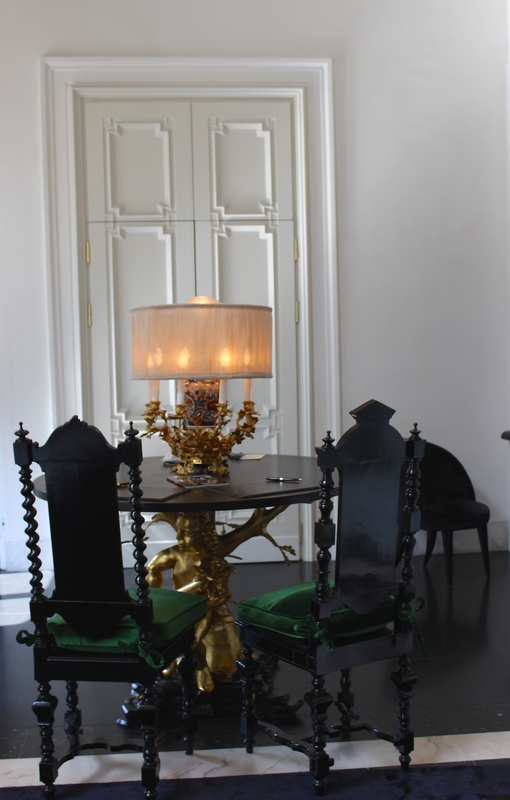 The furnishings have been uniquely designed based on original drawings, and they are joined by antique pieces in both the halls and the private rooms. The Grand Hotel Villa Cora re-opened in 2011 after a long, detailed restoration. The rooms are comfortable yet certainly remind one of the Villa’s most celebrated time. They vary in size; ours was not large, but it was certainly beautiful. 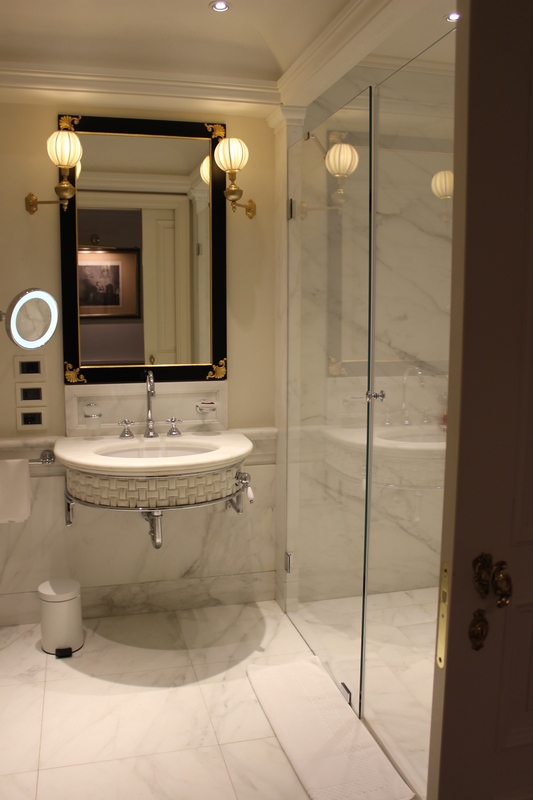 The shower was oversized, and the entrance hall allowed for two large closets. If I had to nitpick, I would question the lack of hooks and surfaces in the bathroom. There was not a designated place to hang my lush bathrobe, thoughtfully embroidered with a rose. 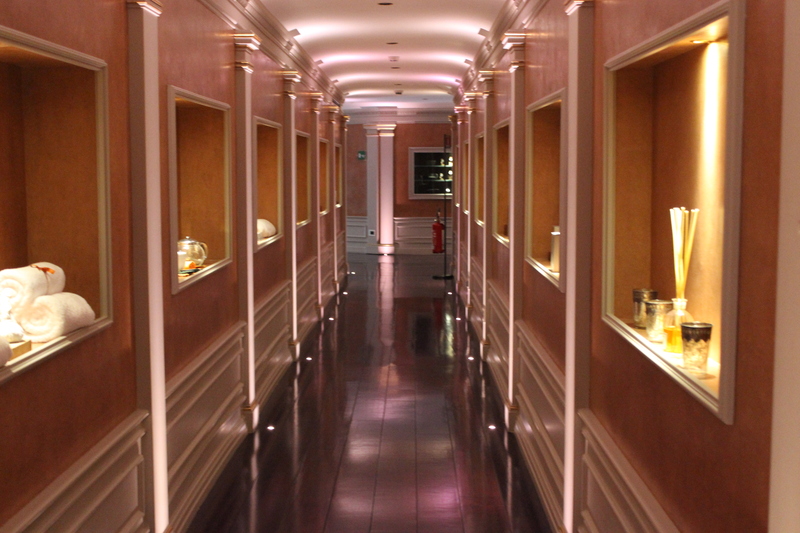 On the second floor, it is all about roses and femininity. The bath products are rose-scented by Santa Maria Novella, and our turn-down goodies one night was a sweet little bag of jellybeans. If we still sent postcards, this would be mine: the view from our window on the second floor. 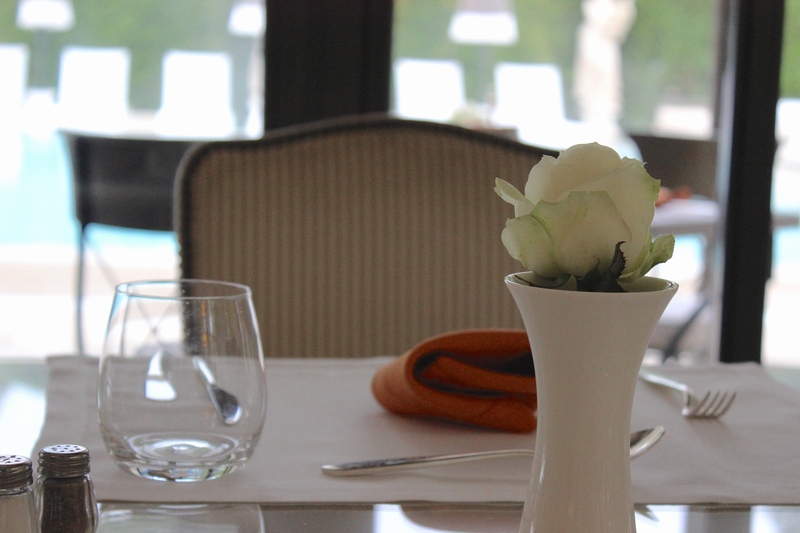 Beyond the exquisite pool and the mesmerizing 360 degree views from the fifth floor rooftop, the service at Villa Cora is exemplary. 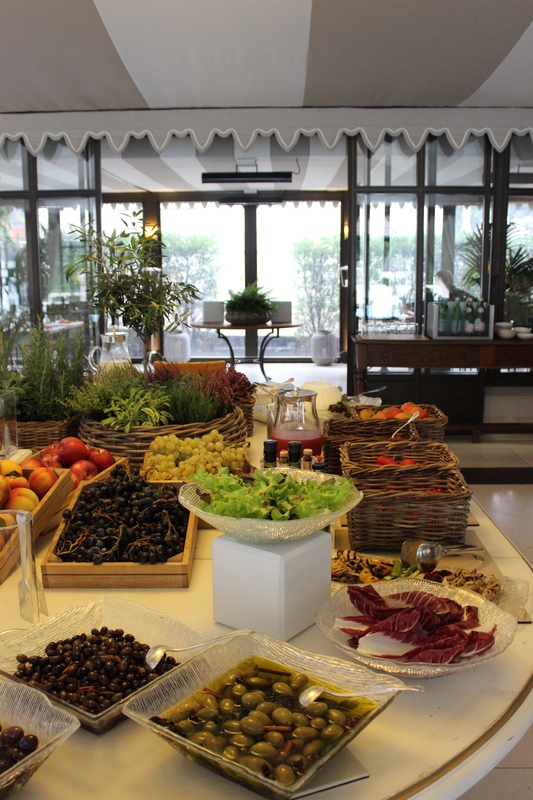 The staff are incredibly helpful, welcoming, friendly, and accommodating, as are most all Florentines. With only 48 rooms, the property feels intimate and molto tranquilla, and the staff respond to every request with calm speed. In fact, I am almost certain that if I had asked for a gold hook to be affixed to our bathroom wall so that I could hang my bathrobe, they would have a silent drill in hand within seconds. 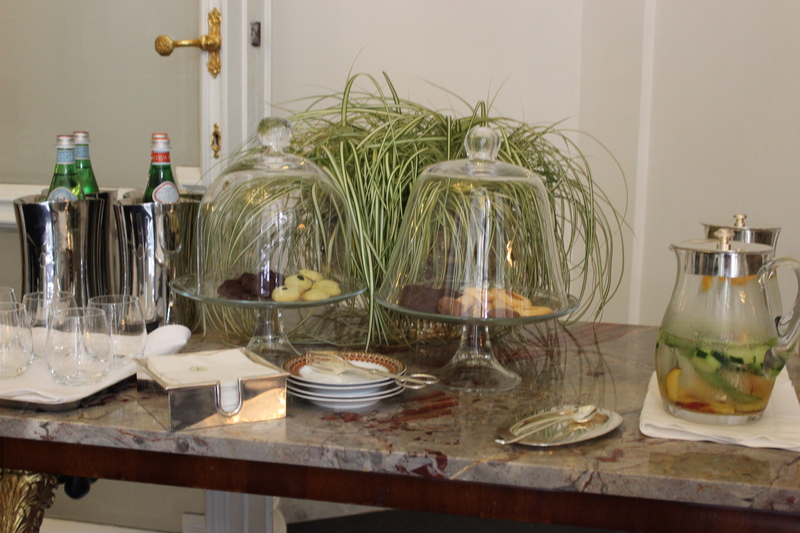 Afternoon refreshments in the lobby at Villa Cora; heavenly cookies and refreshing fruit and cucumber infused water. 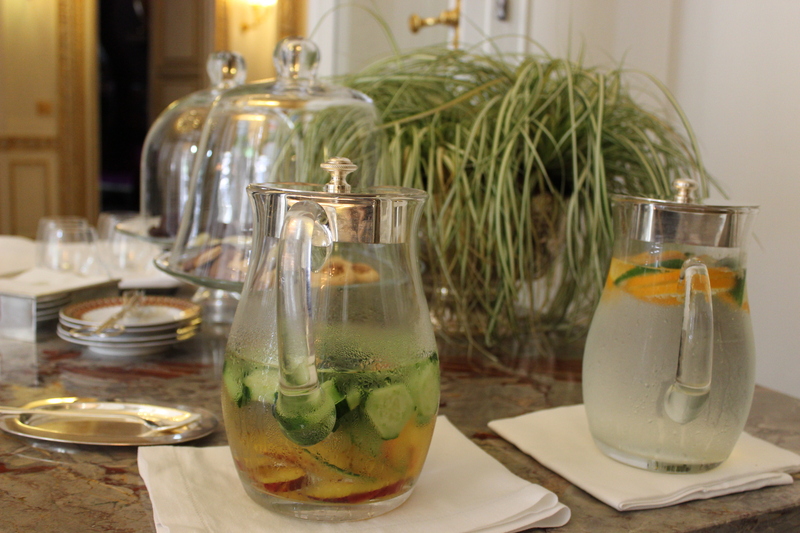 Afternoon refreshments in the lobby: seasonal fruit infused water.